The intestinal parasite cyclospora gets into produce through contact with manure-contaminated water. The recalls show that there is better surveillance of food illness outbreaks and better traceability of where food-borne illnesses are coming from. When Pepperidge Farm recalled Goldfish in July — about the same time Ritz had a recall, too —people hadn’t reported they were sick, Nwadike said. The company found possible salmonella contamination in the whey powder used in its seasoning and put out the recall. There was a definite link between Honey Smacks cereal and a salmonella outbreak this summer as well, with at least 100 people sickened in 33 states. As for the latest recall of wraps and salads from McDonald’s, Walgreens and Trader Joe’s, experts said it could have been worse. 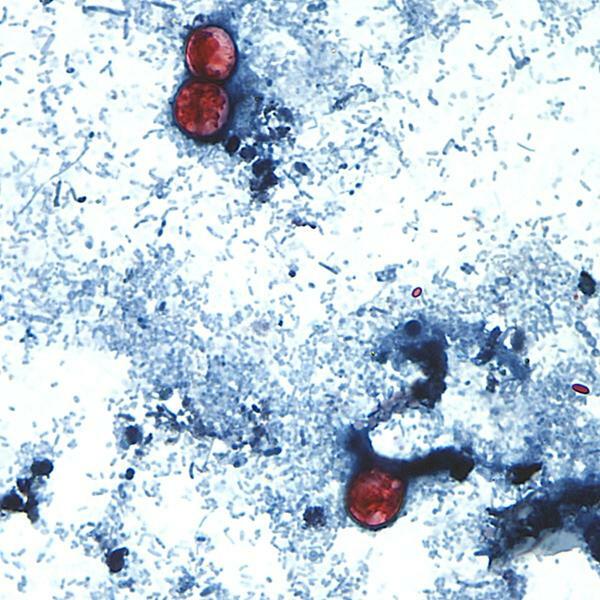 An intestinal parasite called cyclospora, which gets onto fresh produce through manure-contaminated water, usually shows up in the summer. Usually, the worst thing that happens with cyclospora is several trips to the bathroom and slight dehydration, according to Michael Grigg, a molecular parasitologist at the National Institutes of Health. “Now, the symptoms are not fun. You’re going to feel nauseous, you’re going to have explosive bowel movements, but they will generally resolve with time,” he said. The parasite basically gets into a human’s intestine, breeds and comes back out, aiming to get into another animal’s food and continue its life cycle. The company that distributed the parasite-tainted food, Fresh Express, has had other recalls, including one this year for potential E. coli contamination in its ready-to-eat salads. The company faces a fresh lawsuit from someone with a confirmed cyclospora case. Kellie McCall of Monona, Iowa, says she ate a McDonald’s salad before experiencing the symptoms, and later a diagnosis, of the parasite. She is asking for compensation for the illness, which forced her to go to the hospital and lose income. Nwadike said that there is no guarantee that any food is safe. While things like Goldfish are cooked, the flavoring dusted over them usually isn’t. So, the safest way to avoid foodborne illness is to cook food right before eating it, she said. Beyond that, sensitive groups like older people, young children and pregnant women should avoid foods notorious for picking up nasty bacteria and bugs — things like sprouts and raw dairy items. Nwadike said consumers do need to protect themselves, too: Wash their hands and their food and stay vigilant about recalls. Intestinal parasites, can survive in the refrigerator, Grigg said, so if you believe you have anything that may be contaminated, he suggested cooking it or, since it’s salad, throw it out.